Browse: Home / How Long Before You Dumped Your Netbook Into Garbage? How Long Before You Dumped Your Netbook Into Garbage? Well, I both agree and disagree with his comment. I do agree that people lose interest in netbooks very soon. I, myself, was guilty of such a thing when I bought a 8.9 inch one. I just didn’t like the keyboard and gave up fast. However, I had a different experience when I checked out the 12 inch netbook Zoli had sometime back. I found it very comfortable and liked it very much (didn’t buy it because its hard disk speed was slow then). SaaS is yet to evolve into the natural app choice. People still cling on to bulky resource hungry desktop apps. The very design of netbooks is terrible. They have just taken a laptop and miniaturized it without even realizing that the user experience of a miniaturized laptop will be terrible over a long term usage. That is why the rumored Apple tablet is exciting. A netbook should offer an altogether different user experience not a restricted version of Laptop experience. A clunky keyboard and, usually, a terrible OS from the desktop era are not the right choices in my opinion. Many consumers consider netbook to be their laptop or desktop replacement. It is not. It is a replacement of laptop during travel. A good netbook is still expensive to be considered as an additional gadget. With the proliferation of smartphones and iphones, a light weight device for travel becomes redundant. Well, what do you think? Do you think netbooks have a future or it is just a fad going away fast? 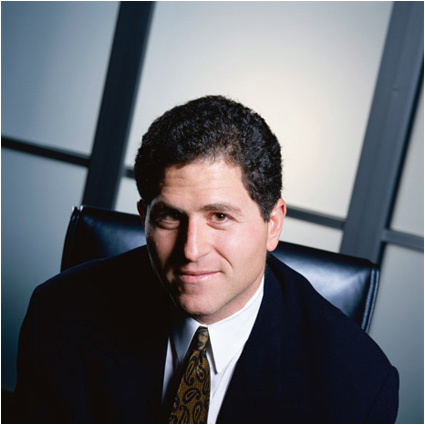 I think that Michael Dell may have missed the boat on this one as far as I am concerned. I am writing this on an HP Mini using the Verizon EVDO card and I LOVE IT! I have the ultimate desktop and a notebook/laptop that are very powerful and very good but for taking it along my netbook goes everywhere. I have been using it for 4 months and on a daily basis. It has a 10.1 inch screen and is a wonderful tool. To clarify; I purchased my first desktop in 1981 (IBM PC) and since have owned many both personal and in businesses so I am not new to this and I knew what I was doing when I purchased this but did not realize I would absolutely fall in love with it – well second to my wife.